The following have been selected as key information resources on alternative and complementary therapy options available for the treatment of cancer. They link to many more available books and resources. These resources have been carefully categorized and factually described to aid your own research. Some include key information on the conventional process of diagnosis, staging, and orthodox treatments before exploring other options. In Western medicine, the primary aim of cancer treatment, such as chemotherapy, radiation and surgery, is to stop the malignant process by interfering with the growth and spread of cancer cells. Alternative approaches to cancer treatment mostly aim to enhance the body's own natural defenses by use of immune modulators that stimulate the immune system to attack the cancer cells. Integrative cancer therapies use conventional approaches with compatible alternative approaches. Some alternative therapies for cancer have been developed using the same biomedical model as conventional Western treatments. These treatments aim to fight and eliminate the cancerous cells with nontoxic, multifaceted approaches, such as nutrition, herbs, antineoplastons, immune enhancement, and metabolic therapies. There is often relatively little or no basic and clinical research evidence for efficacy. Other alternative and complementary therapies regard cancer as the manifestation of an unhealthy or unbalanced body, and thus seek to heal the whole body, not just its individual diseased parts, primarily by strengthening the immune system. Holistic approaches to cancer treatment also encompass mind-body awareness and spiritual aspects of disease as part of the bodily manifestation. They usually emphasize the role of diet and nutrition in the healing process as well as the importance of prevention. These therapies may be used as adjuncts to conventional care. Provides a wealth of information for both practitioners and consumers on the emerging field of integrative oncology. Sequel to Cancer and Natural Medicine - a systematic review of the actions, pharmacology, toxicology, and potential clinical use of over 36 natural compounds as anticancer agents. 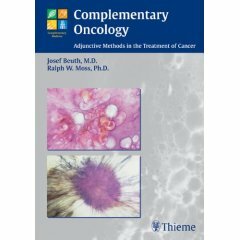 Systematically examines the principles by which anticancer agents may work, their potential uses, and contraindications. Summarizes information from human clinical trials and animal and test tube experiments on 103 alternative therapies including vitamins, minerals, herbs, diets, immune boosters, less-toxic drugs and other substances. Other books written by Moss include The Cancer Industry and Herbs Against Cancer. Examines what diagnostic tests can and cannot do, why screening can do more harm than good, and how to avoid overdiagnosis and overtreatment. Provides a critical review of conventional treatment and an exhaustive review of alternative and complementary therapies. 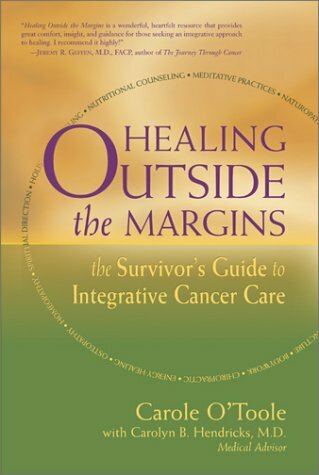 Features alternative and integrative treatment plans of 23 pioneering physicians specializing in cancer, 55 case histories, and an exhaustive review of alternative and complementary therapies. A condensed and updated version of "An Alternative Medicine Definitive Guide to Cancer", this book provides a comprehensive review of prevention, early detection methods, and alternative and complementary therapies. Discusses carcinogens, diet (including macrobiotics and the Budwig protocol), visualization, and alternative therapies. This book arose from the Comprehensive Cancer Care conference series organized by the Center for Mind-Body Medicine, founded by Dr. Gordon. Henderson, whose wife died from cancer sought information on alternative treatments and presents six different theories about how to deal with cancer cells. All are gentle, non-toxic and they work synergistically together. Includes interviews with the major opinion leaders in the alternative cancer therapy field - clinicians, researchers, patient advocacy leaders, and journalists - who explain their philosophy of evaluation and therapeutic preferences. Written by the founder of Commonweal, the book is designed to give both cancer patients and health professionals an overview of complementary cancer treatments. This Cancer Treatment Centers of America booklet covers pain management, treating the whole person, mind-body medicine, comparing treatment facilities, conventional treatments and naturopathic medicine. Discusses nutrition, natural supplements, lifestyle guidelines, and mind-body approaches for prevention and treatment, as well as support during chemotherapy and radiation. O'Toole was diagnosed in 1994 with a relatively rare, advanced and virulent form of breast cancer and given 18 months to live. She tells her story of survival. Discusses the research, efficacy, side effects, and availability of alternative therapies. Presents the stories of cancer patients who recovered after using non-toxic approaches and provides a comprehensive overview of alternative therapies and the scientific principles behind them. Patrick Quillin, former director of nutrition at Cancer Treatment Centers of America, discusses nutritional strategies to improve outcomes for cancer patients, including immune support and detoxification. Discusses diet, nutrition, herbs, detoxification, and immune enhancement for prostate cancer patients. Provides a systematic approach to treating cancer from a holistic perspective, detailing a wide range of herbs. Protocols for various types of cancer are included. Examines the history, politics, research, scientific validity, and efficacy of 29 alternative therapies. Master herbalist, Yance, discusses herbs and other natural supplements, spiritual and lifestyle factors, other healing modalities, and natural ways to cope with conventional cancer treatments. Essays by over 20 practitioners, including Susan Love, Dean Ornish, and Rachel Remen discuss a range of complementary therapies to teach readers how to choose among them for optimum results. Includes physical, emotional, and spiritual self-help exercises; herbal recipes for cleansing the body; and information on risk factors, hormones, nutrition, and natural supplements. Discusses nutrition, antioxidants, spirituality, sexuality, prevention, detection, and integrative treatment. Presents a 10 Point Plan for prevention and complementary treatment. This controversial book examines the correlation found between bras and breast cancer and discusses how the restrictive nature of bras may inhibit the lymphatic system. Discusses foods, exercises, and attitudes to keep breasts healthy, as well as supportive complementary medicines to ease side effects of surgery, radiation, chemotherapy, and tamoxifen. Dr. Geffen describes the primarily conventional program used at his Denver, Colorado clinic, that addresses physical, mental, emotional, and spiritual dimensions of cancer treatment. Psychotherapist LeShan discusses how psychological change helps mobilize a compromised immune system for healing and provides exercises designed to help readers evaluate their inner selves and get the most out of their immune systems by leading fuller, richer lives. Provides specific ways to use imagery in fighting cancer. Compelling story of a cancer patient's battles with the conventional health system and his use of alternative approaches: nutrition, vitamins, visualization, and acupuncture. Stories cover many treatment methods, focusing on alternative methods, and include survivors' contact information. Cancer survivors discuss their dilemmas and decision processes, give advice to other women, and provide opinions on cancer research and organizations. This journal reviews scientific research on alternative therapies, including anti-cancer and immune-modulating agents. A bimonthly clinical research journal with particular emphasis on mind/body approaches to wellness; has occasional articles on cancer. This journal presents research, case studies, literature reviews, and educational roundtables, emphasizing scientific understanding of alternative medicine, traditional medicine therapies, and their responsible integration with conventional health care. This clinical research journal is published 10 times a year and has occasional articles on cancer. Published quarterly, the journal provides information about the evidence-based utility of complementary therapies. NOTE: Mainstream journals increasingly include articles on alternative treatments for cancer. Established in October 1998, as part of the National Cancer Institute, for research into complementary and alternative cancer therapies. OCCAM have a new improved web site. Primarily conventional cancer treatments by a board-certified oncologist with a seven-level body, mind, heart and spirit program for patients and family members. This program is also available through the Rocky Mountain Cancer Centers. Provides referrals to naturopathic physicians. Provides listings of physicians who practice integrative medicine on cancer-related alternative and complementary medicine therapies and referrals to licensed physicians. Facilitates training programs for physicians primarily for chelation therapy. Provides information on cancer related alternative/complementary therapies and a physician referral directory. AICR supports research into the role of diet and nutrition in the prevention and treatment of cancer. It also offers a range of cancer prevention education programs and sponsors an annual research conference. 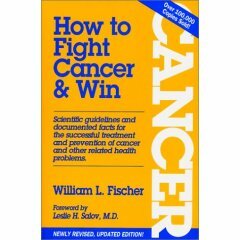 Fosters the science of cancer immunology by funding research on immunological approaches to the diagnosis, treatment, and prevention of cancer; sponsors an annual international symposium; educates the public about immunology and immunotherapy; and presents awards to scientists and laypersons who have made outstanding contributions. Promotes and funds development of innovative and promising clinical research on science-based treatment options. Data collection, research, and information on alternative cancer treatments and clinics. SIO is a multidisciplinary organization of professionals that provides a forum for presentation, discussion and peer review of evidence-based research on complementary therapies, including their scientific validity, clinical benefits, toxicities, and limitations. Offers cancer coaching, phone consultation, books, videos, and information on alternative and integrative cancer treatment centers worldwide. Sponsors conferences and provides information on alternative therapies and nutrition. Provides a Comprehensive Personalized Cancer Treatment Information Research Report, containing detailed information on conventional and alternative therapies and clinics, to help with treatment decisions, along with a free consultation and support service. CACE is a cancer education, counseling and referral agency providing nutritional, immunological and psychological resources for cancer prevention and support during and after treatment. The Center, established in 1977, focuses on combining the body's natural healing potential with advances in medical science. CSNO provides information about the safety, application and efficacy of alternative therapies to assist clients in making educated decisions about their health plan and finding the best course of treatment for their specific situation. Founded by Michael Lerner to provide support for cancer patients, Commonweal also provides information on integrating conventional and complementary cancer therapies. Provides individuals with information about the availability of alternative treatments, doctors, and clinics, and assists them in gathering the information they need to make the best decision for their particular situation. Provides information on the traditional form of Gerson therapy and dietary guidelines for healthy living, and offers training programs. Gerson therapy is a demanding regimen that may not be suitable for most cancer patients. Provides free "Cancer As a Turning Point, From Surviving to Thriving"TM conferences, as well as retreats and professional trainings, for persons with cancer and other illnesses, caregivers, and health professionals, focusing on psychospiritual and mind-body factors in the healing process. Events include speakers, performers, music, humor, and healing stories. IACVF, founded in 1963, disseminates information about alternative treatments for cancer and other diseases, publishes The Cancer Victors Journal, and produces videos. Local IACVF chapters publish newsletters and feature speakers at monthly meetings. Each Moss Report is individualized. Ralph Moss, not a medical practitioner, presents prioritized information on which alternative or conventional treatments and practitioners he thinks are best for the particular condition, and why. He gives names, addresses and phone numbers to access these treatments and to learn more about them. Provides a report of all conventional and alternative therapies currently available for specific types of cancer. Nonprofit, public interest group that provides information on cancer-related alternative/complementary medicine therapies. Also has offices in Germany and the UK. New York, NY 10032, U.S.A. Provides information and web resources on alternative and complementary medicine modalities. See, in particular, the Carol Ann Schwartz Cancer Initiative. Provides cancer related and general information on alternative/complementary modalities and instructional programs on macrobiotics. Information, education, advocacy on complementary and alternative cancer therapies from the patient perspective. A nonprofit organization devoted to sharing the research and experiences of women exploring non-standard treatment choices. Also provides clear information on conventional approaches and treatments. The National Cancer Institute's resource providing scientific information on complementary and alternative cancer treatments from a conventional perspective. An information center for alternative cancer treatment from Ralph W. Moss. It includes advice on how to choose treatments. Visitors can sign up for a free monthly online newsletter. The center provides training courses for physicians and other health professionals who want to provide integrative care for their cancer patients. Provides comprehensive literature reviews and systematic analyses of the research on alternative and complementary therapies. MedlinePlus selects authoritative information from the National Library of Medicine, the National Institutes of Health, and other government agencies and health-related organizations. An oncologist-reviewed site, see the Additional Resources box at the right on the linked web page for information on various CAM treatments as they apply to mesothelioma. This HonCode-certified site offers comprehensive information on preventing asbestos exposure and evaluated alternative methods of mesothelioma treatments. Provides an exhaustive review of cancer-healing foods and diets, herbs, TCM, immune therapies, electromagnetic therapies, less-toxic drugs, and other alternative and complementary therapies. 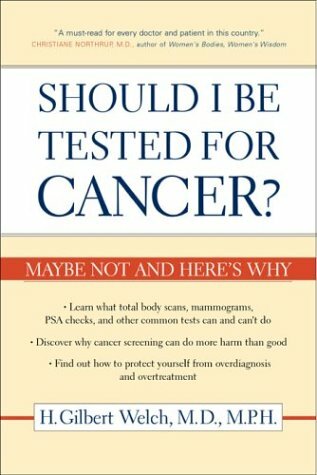 Provides a comprehensive compilation of over 2,000 testimonials, organized by type of cancer. The mission of New Earth BioMed is to discover safer and more effective cancer therapies based on natural product mixtures and to reduce unnecessary suffering in patients and in communities. Integrative Medicine on the Internet. Provides summarized information and links on causes, prevention, and alternative and conventional treatment options for cancer, as well as research, news, support groups, and organizations.